Filled with explosive dance numbers, dreamy solo stages and a whole lot of swoon-worthy moments, one night was all it took for us to be fully convinced that BTS deserves their swelling popularity. Barely four years ago, they were playing at a much smaller venue with a mere 5,000 capacity as part of their The Red Bullet Tour. Fast forward to now, they became the first ever Korean act to perform at the National Stadium for their Love Yourself Tour – to a 55,000-strong sold-out crowd, at that. And it is only rightfully so that they’ve earned this record-breaking accolade, on top of already being a global K-pop sensation. Despite sweating buckets right from the get-go, their blistering performances throughout the jam-packed show were executed in near perfection and never once dwindled in energy – a testament to just how hard the boys of BTS worked in order to put up a memorable show for their beloved ARMY, and they certainly didn’t disappoint. Here are just a few of the reasons why the septet made it a night to remember. If you’ve seen fancams floating around, you’d have probably seen the incident that happened during their performance of ‘DNA’. After a series of water effects that was part of the show, the stage was left dangerously wet which caused Jimin to slip and fall on his back. Despite it looking like a pretty hard fall, the lad laughed it off and powered through the rest of the song as if nothing had happened. Although we are proud of his work ethic, we sure hope his back feels better now! Right after Jimin’s fall, fans noted that the members began communicating mid-performance and ended up switching up the routine for ‘DNA’ to prevent any more accidents. V also took matters into his own hands by wiping down the stage on his own, while the rest of the boys followed suit (not to worry, staff got the stage cleaned up after!). These are the little acts that might elude your vision when you see them through the screen, but at a concert where there’s no hindered view, we were given an opportunity to witness the genuine reactions of the boys which makes us love them a whole lot more. Jimin fell during DNA because the floor was slippery :( so everyone decided not to do the last dance part for the song. #3 Can we just talk about their solo stages? On top of performing their insane synchronised choreography as a group, the boys also had their own time in the spotlight to showcase the immense talent every member possessed. Each of them played to their individual strengths in dance, rap and vocals as they singlehandedly got the crowd grooving to solo tracks off their latest album. #4 Shout-out to the BTS ARMY! Part of the fun at a BTS concert is the ability to show the boys just how much the fans appreciate their music. Aside from the roaring fan chants and the sea of ARMY bombs that lit up the stadium, fans were no strangers to making the group feel loved, especially when it came down to singing along with them. Just check out this goosebumps-inducing clip of the crowd belting out to Jin’s ‘Epiphany’ in perfect harmony! Two hours of high-energy performances flew by in a flash, and it was soon time for the encore stage. Trading their glitzy outfits for simple white tees, the boys were back out again with the same amount of enthusiasm as they goofed around with each other – all while flawlessly hitting the notes for ‘So What’ and ‘Anpanman’. Though most of us were pretty tuckered out by then, their infectious energy had us all recharged in an instant. Besides, who could resist not dancing along with these adorable dorks? What’s a BTS concert without some mandatory fan service, right? While the boys were up to their usual shenanigans, the lovable maknae was spotted leaping down to the moshpit area to get upclose and personal with the front rows. Just when he was about to head up, Jungkook noticed that a fan had dropped her phone onto the other side of the barricade and went over to pick it up for her. What a gentleman! Before the last song of the night, the members each took some time to thank local ARMYs for the love and support they’ve received. From thankful speeches made by Jimin, Suga and Jungkook, to heartfelt thoughts shared by V, J-Hope and RM as well as Jin’s loud exclamation of delight, it was impossible not to feel the boys’ utmost sincerity and gratitude that night. ARMYs, what was your favourite moment of the night? Share it with us in the comments below! 2018 has been a stellar year for local music. While we’ve got a fair share of established acts making a name for themselves, they’ve also paved the way for a new crop of young, promising talents to enter the scene. Meet these new kids on the musical block who are poised to shake up your playlists – you can thank us later when you’re able to say you’ve heard of ’em first. 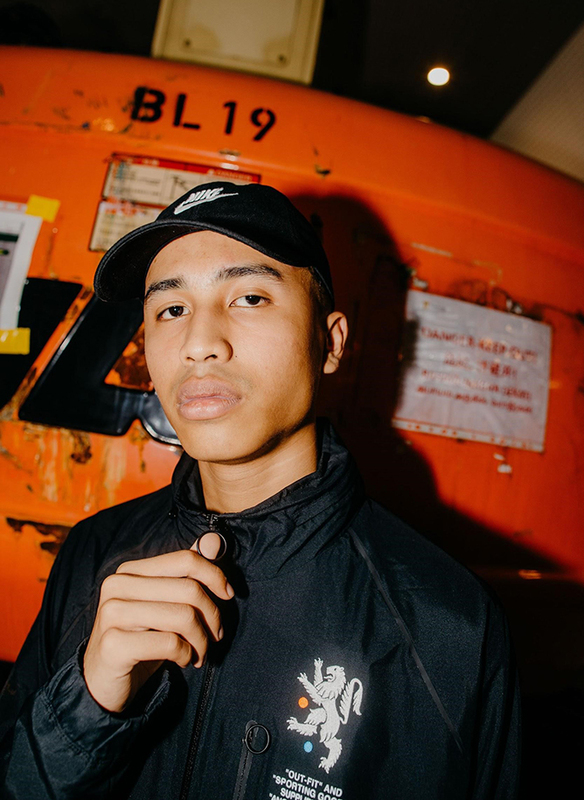 J.M3, otherwise known as Jamie Lau, is not your typical rapper. A rebel at heart, the rap diva infuses an enthralling blend of rhythmic grooves and lyrical poetry into her discography. Have a listen to her newest earworm ‘TRY’ – a self-empowerment anthem that we never knew we needed – and let her music speak for itself. 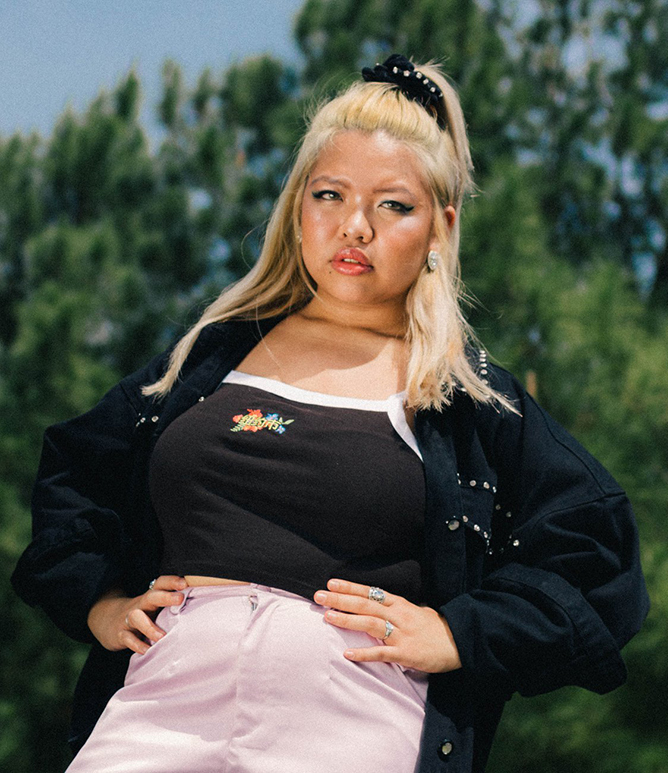 The 22-year-old bilingual rap prodigy is undoubtedly the next big artiste to watch. 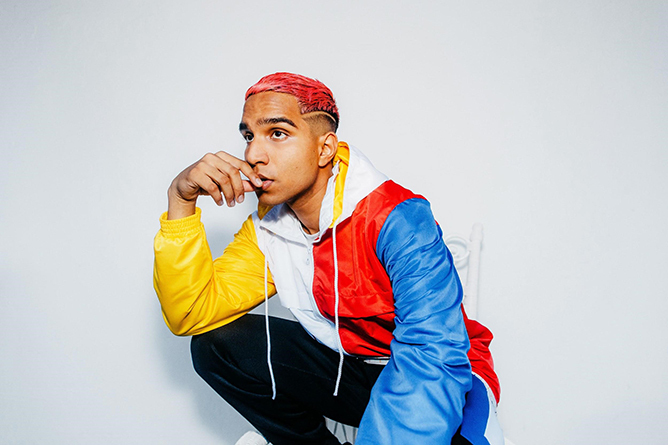 With his penchant for fusing elements of hip-hop and R&B, Fariz Jabba has been making waves in the scene with his distinctive, genre-defying sound. His latest music video for ‘Ape Sia’ is testament to his rising popularity, chalking up over a million views since its release last August. Some of you might be familiar with the homegrown songbird, who has been steadily earworming her way onto the top of the charts with her addictive tunes. But it wasn’t only until recent years that she really took charge of her own music, trading her indie roots for a more stylistic approach to contemporary pop – and the formula works like a charm. Just take her latest bop ‘Talking Insane’ for instance, which easily chalked up half a million streams on Spotify within the first three months of its release. Look out for her upcoming debut EP slated to drop in March! No stranger to the hip-hop circuit, the ‘Mustafa’ rapper shot to fame with his hugely popular remixes of Gucci Gang’ and ‘Bartier Cardi’. Despite finding viral success, the self-made star has been hard at work honing his songwriting chops and even recently dabbled in acting (you might recognise him from local zombie flick Zombiepura). A rapper, songwriter and now a budding actor – what else can the man not do? If you have yet to check out Ysa Yaneza, drop everything and hit her up stat. 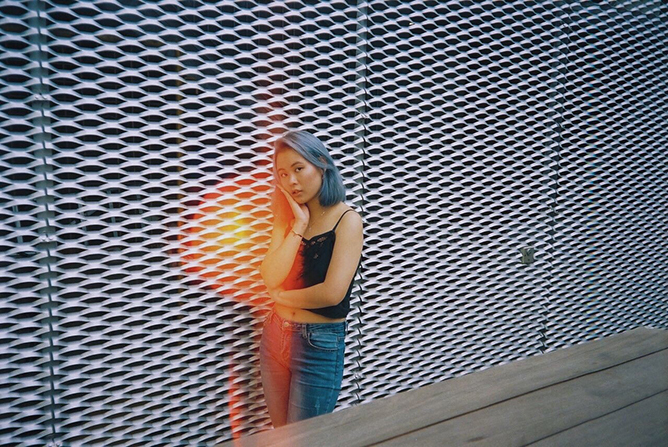 Not only does the millennial pop powerhouse serve up some of the most thought-provoking tracks we’ve heard in today’s digital age (her sizzling singles ‘Tea’ and ‘IRL (If You Really See Me)’ are proof), she also doesn’t shy away from lyrical themes such as social media, online dating culture, as well as LGBTQ. Oh, and did we mention she’s got a nod of approval from Troye Sivan? Homegirl’s definitely going places. After the brief preview of Avengers: Endgame in December, Marvel Studios has impressed once more with the debut teaser for yet another eagerly anticipated hit, Spider-Man: Far From Home. As with most Marvel Cinematic Universe trailers, Easter eggs and subtle references are a given – so here’s our breakdown of some nitty-gritty details you might have missed. Ready to get your spidey senses tingling? Based off the ending of Spider-Man: Homecoming, we all know Aunt May is aware that Peter is the web-slinging superhero. Unlike most aunts who’d start fretting about the dangers the job entails, she’s the complete opposite. Not only does she embraces her nephew’s alter-ego, but also partners up with him for a fundraiser. Where else can you find a cooler aunt than this? #2 Wherefore art thou, Tony Stark? Blink, and you might just miss it. Instead of a signed cheque from Tony Stark, we see Pepper Potts’ signature. Now, we are unclear if this happens before or after Infinity War so it could mean two things: either Tony is no longer with us, or this is just part of Pepper’s duty as Stark Industry’s CEO. We hope it’s the latter. Peter is back at his favourite Delmar’s Deli which, if you remember, got accidentally blown up in the first film. We particularly liked how they paid homage to the prequel with the newspaper clippings detailing the events along with a framed photo of Delmar with Spider-Man. What caught our attention here is not just Tom Holland’s adorable puzzled expression in his passport photo, but also the reveal of Peter Parker’s date of birth. Not surprisingly, this date holds great significance as it is Marvel Studios’ subtle way of acknowledging the day that Spider-Man made his debut appearance in the pages of a comic book. If you pay close enough attention, you’ll notice that the suitcase Peter uses for his trip bears the embossed initials ‘BFP’ in-between the handle. Similar to the idea behind the old suit Peter wore in Homecoming, this is yet another clever homage to his late Uncle Ben. Does that building behind Spidey look familiar? Previously owned by Tony Stark before being sold off to an unknown buyer in the first film, we see the former Avengers Tower currently being remodeled, which has us thinking that this might be a foreshadow to the immersion of two possible stand-ins: Norman Osborn’s OsCorp, or the Fantastic Fours’ Baxter building. As there had been mention of plans to integrate Fantastic Four in the MCU, perhaps this might be how they get re-introduced to Marvel fans? For the uninitiated, Mysterio is one of the oldest and most iconic arch-enemies in the Spider-verse who was formerly known as Quentin Beck, a movie special effects technician. His appearance in the sequel not only means a highly-anticipated showdown, but it may also follow a theme first introduced by the Vulture who sought justice and reprieve for regular working folks amidst the rise of superheroes. #8 Is that Maria Hill? Despite the ambiguous timeline and how Avengers: Infinity War left off, it was quite a surprise when we saw the appearance of Nick Fury. While we cannot confirm or deny if the person fighting alongside him in the trailer is Maria Hill, actress Cobie Smulders (who portrays the former Deputy Director of S.H.I.E.L.D.) did assure fans that she will appear in the film sans exact details. Rewatch the trailer again to see if you can spot these details! Spider-Man: Far From Home is slated for US release on 15 July 2019. For K-pop star Alexander Lee (or better known as Xander), Singapore is essentially his second home. A scroll through his Instagram would reveal several photos of the former U-KISS member’s recent trip to our sunny shores for tvN Asia’s original production Wok The World, where he can be seen indulging in Singaporean delights only a true foodie will know – laksa, hotpot, durian… you name it. And if that’s not enough to prove exactly how Singaporean the chap is, he even went ahead to describe himself as our very own ice kachang (think Korean bingsu with a local twist) when we posed the question, explaining that he’s very much like “a mix of ingredients” because he “grew up in a multicultural household”. With his love for Singaporean cuisine, flair for languages (don’t even get us started on his accent – he speaks Singlish better than most of us!) and easygoing personality, we can definitely see why he was chosen to be the show host of Wok The World. Sitting down with us for a quick interview before the Wok The World cooking competition held on 5 January at Adventure Cove Waterpark, we had Xander talk about all things food – favourite local dishes, ultimate guilty pleasure and more. Can’t get enough of Xander? Check out part 2 of our interview below, where we got him to try out Singapore childhood snacks! Calling All Marvel Fans: Carol Danvers, Nick Fury And More Are Coming To Town! Marvel fans in Singapore are in for yet another treat! Come 14 February 2019, the stars of the highly-anticipated Captain Marvel are set to make an appearance at a special Fan Event at Marina Bay Sands. Though it seems like just yesterday when we welcomed the OG Avenger Robert Downey Jr. and his companions to our sunny island, the stage is now set for local fans to get upclose and personal with the new super-heroine in town. Actress Brie Larson, alongside her Hollywood co-stars Samuel L. Jackson, Gemma Chan and the film’s directors, Anne Boden and Ryan Fleck will be making their way to our shores to greet fans as well as to promote this upcoming addition to the Marvel Cinematic Universe. Similar to previous Marvel fan events at Marina Bay Sands, it’s free admission and will be held at Sands Expo and Convention Centre. Due to capacity limitations at the venue however, fans are required to pre-register to enter. Registration for the tickets will begin on 10 February at Sands Expo and Convention Centre, B2, Hall F at 10am, and continue to run until all the tickets have been fully redeemed. To get your hands on the coveted tickets, you will need to have a valid Marina Bay Sands or SISTIC ticketing account that is mandatory for registration. If you do not have an account, you can sign up for one here. You need to have a valid Marina Bay Sands or SISTIC ticketing account. Remember to bring a photo ID (NRIC or Passport) along with you when you register. Tickets are issued on a first-come-first-served basis so be sure to get there early if possible. You are only allowed to register for yourself and not on behalf of anyone else. Tickets are strictly non-transferable as ID verification checks might occur during the day of the event, and organizers are allowed to deny entry to such ticketholders. Members of the public will be subjected to security checks upon entry. Although there is no age limit for the event, children below the age of 13 must be accompanied by a parent or guardian. As this will be the only Asian stop for this promotional tour, don’t miss the chance to rub shoulders with the cast and snag a selfie with Captain Marvel herself!